Sick of seeing cute pink love hearts and fluffy teddies everywhere? Looking for something a little more realistic instead? 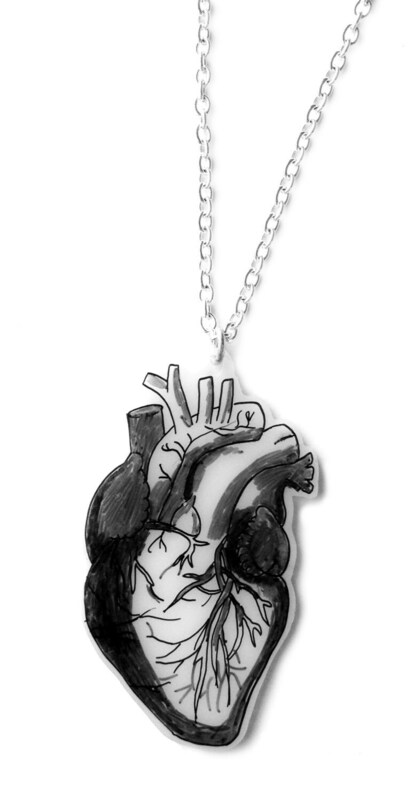 This anatomical heart is perfect for you! Hand drawn in black and white, coloured in shades of grey and hand cut. Approx 5cm long, however as each piece is hand made and drawn just for you, sizes may vary very slightly. Your heart will be hung from a 16" trace chain, with a 2" extension chain.